At Select Auto, we pride ourselves on the quality of the cars we provide. We are honored to have been voted Frankfort’s Favorite in all major Automotive categories for the second year in a row in 2018. 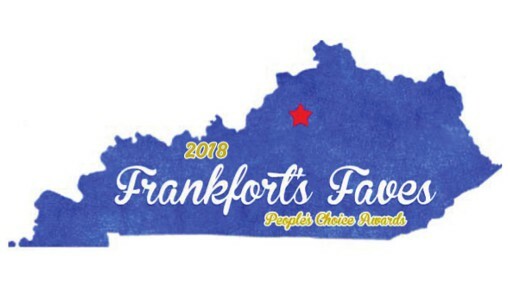 We sincerely appreciate our friends and loyal customers for voting for us, and it is our goal to work hard for our customers every day to earn those votes. 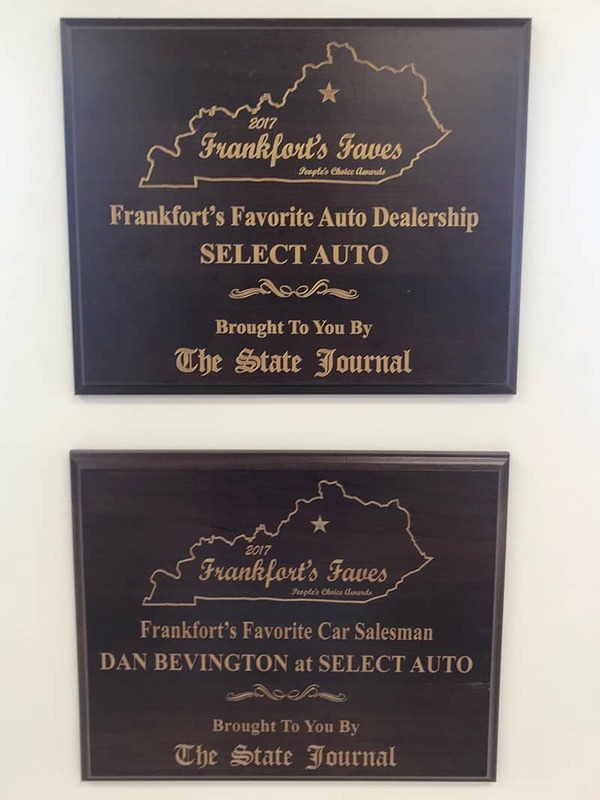 Since July of 1997, Select Auto has been family owned and operated. Larry, Sue, Dan, and Rachelle Bevington have owned and run the company for over 21 years, and we’ve always been in the same location. 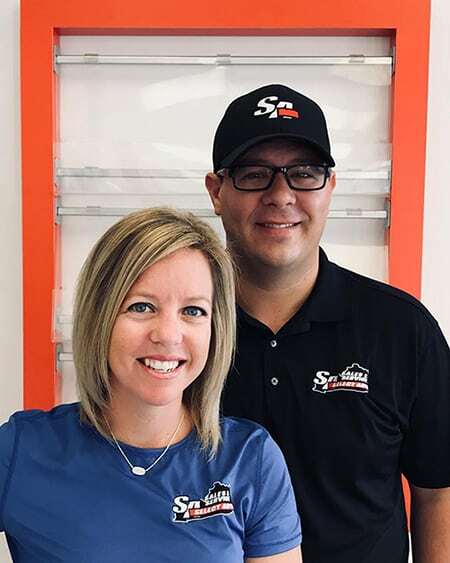 Rachelle is the office manager, and she oversees the service department to ensure we are always doing everything we can to save our customers both time and money. Dan is the general manager, and he carefully hand selects every car that we have for sale. We only purchase used cars in like-new condition, and we ensure that they haven’t had any accidents. In addition, we certify the vehicles we sell, meaning they are fully serviced and detailed, in order to maintain our reputation for only selling the highest quality used vehicles. Contact Select Auto today to find the perfect car for you and your family. 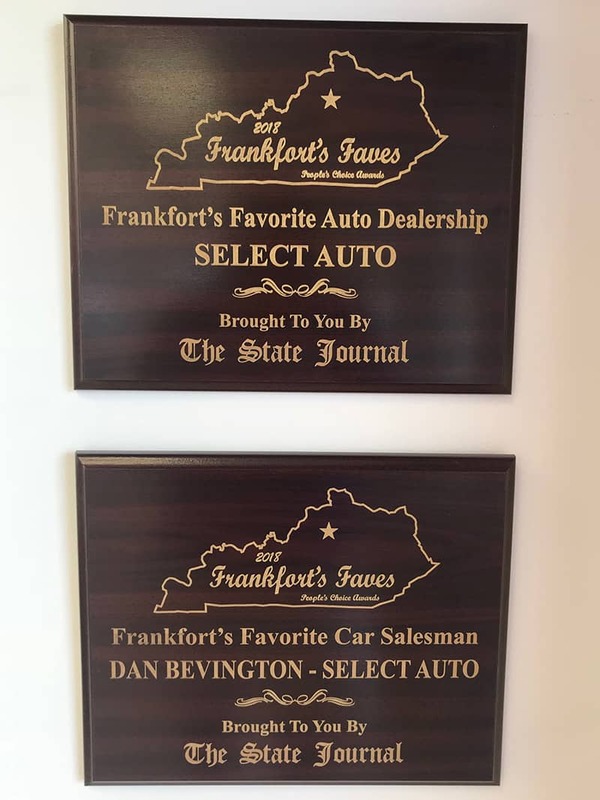 We are conveniently located in Frankfort, Kentucky, but we proudly serve the surrounding areas, including Lexington, Louisville, Crestwood, Georgetown, Versailles, Owenton, Shelbyville, and Lawrenceburg, KY.